Dominos is the first brand name that comes to our mind when we think of yummy, cheesy pizzas! It has become the prime brand that people opt for this much loved Italian food due to its high taste and quality, cost effective price and also for the spontaneous delivery. 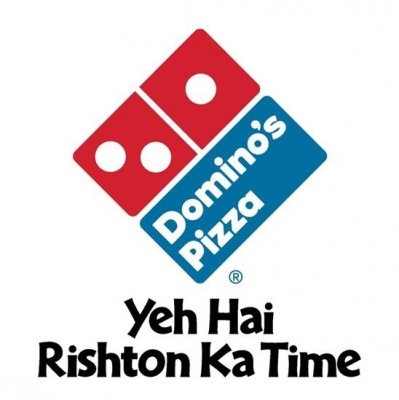 When it was initially started, Domino’s Pizzas were available only in major cities but now it has grown and has been successfully established in all the major parts of the country. For all those Pizza lovers, Dominos has its Khushiyon ki chabi in the form of coupons and discount codes which they distribute via newspapers and pamphlets at your doorstep. As we know, Dominos offers the best pizzas in town. After embarking on Indian market, Dominos has introduced lot many regional flavours to satisfy the desire of customers and has been successful in emerging as a global food chain which acts locally to make sure customers gets their yummy cheesy crunchy pizza in multiple flavours. 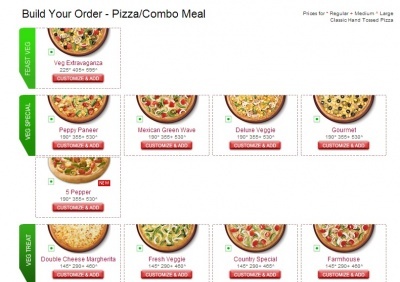 You can find multiple varieties on veg and no veg pizzas at Dominos. In India, people like spicyness and so Dominos has introduced the extra spicy pizza for Indian customers. You can order spicy paneer pizza, chicken tikka, masala pizza and so on. Recently Dominos has launched the Fresh Pan Pizza which is deliciously soft with extra cheese butter and is also crunchy. 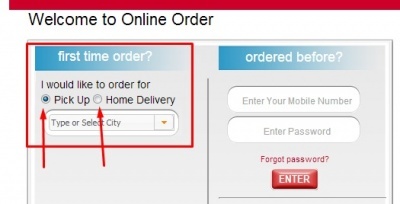 If 'Home Delivery', enter your address and get it delivered at your doorstep. You can also go to Dominos restaurant and have your pizza. Dominos also offers takeaway options as well. 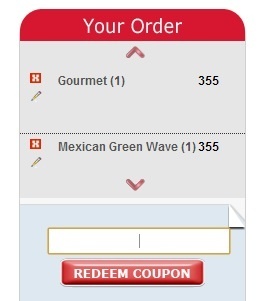 You can print the Dominos coupons and can show it at the counter to get discounts on your order. You can now order your favourite pizza online at Dominos through your mobile. Just download the Dominos mobile app, browse through the menu and place your order anytime from anywhere. Right from the beginning, Dominos has delighted its consumers with its great variety of tastiest pizzas. Dominos is highly customer focused and great efforts are being taken to ensure that thwir customers are highly satisfied.As an initiation to this, Dominos has now started offering 'Delivery within 30 minutes or Free'. Whether it's traffic, bad weather or any other reason, Dominos will deliver your pizza on time else you will get your pizza free! So whenever you get guests at home or office on short notice, order pizza from Dominos. 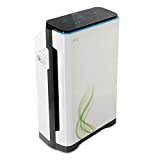 They also have pocket saving offers as well. Dominos pizzas are freshly made on order and are served hot. Apart from pizzas you can find other side dishes as well like garlic bread, garlic dip, cheese dip, choco lava cake and others to complement your pizza. Whatever be the reason, Dominos pizzas make every moment an occasion. At Dominos, every single day is a great day. Every Wednesday, Dominos offers buy 1 get 1 free offer on pizzas. There is yarri-dosti coupon at Dominos which gives 25% off on minimum Rs.350 bill, you can also enjoy flat 20% off on all orders above Rs.350. Dominos gives coupons and offers to make it more affordable on price and rich on tastes. For New Year, Dominos is offering 50% off on 2nd pizza to make your celebration bigger. Dominos has Facebook and Twitter pages with over 5.6 million FB likes for your favourite pizza. Keep in touch with dominos at Facebook and Twitter as they arranges several online contests for the customers to win gifts and vouchers. These are simple games to make people happy and make the winner happiest with coupons and discount from Dominos. Just like you share a bond with Dominos, we too share a similar bond with you. At CouponRani, we ensure that you get the right Dominos Coupons every time you visit our site. These Dominos coupons will add an extra smile on your face with extra savings on your budget. You will find all the Dominos coupons for India at CouponRani. Every time you feel hungry, visit CouponRani, use the coupons and order your pizza online at Dominos. During festivals, you will get exciting offers depending on the festivals like Diwali Offer, etc.